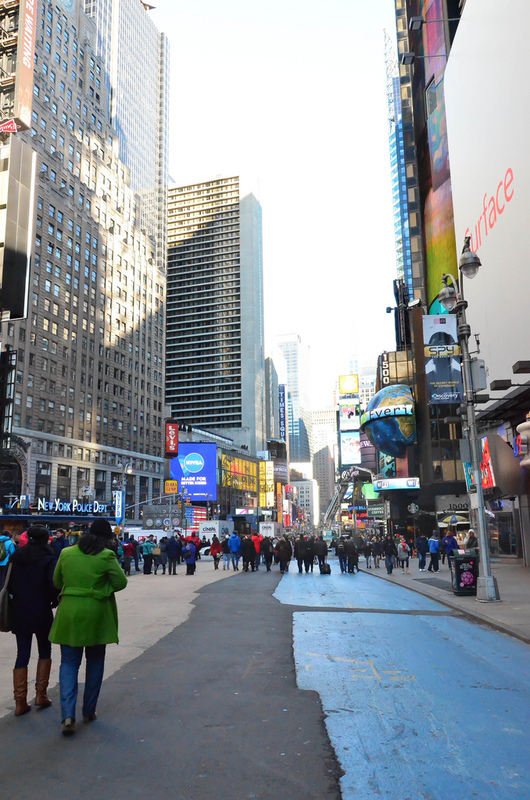 Time Square is by far one of the most impressive places in the world! It was one of the first things I wanted to see when arriving in NYC. 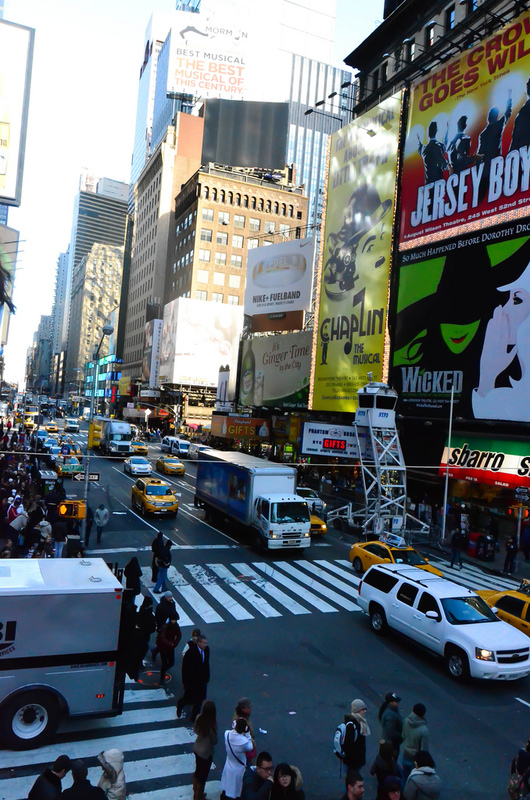 All the lights and advertising, all that people, all the atmosphere, everything is so crazy. I also had the opportunity to see a Broadway show, The Lion King, and it was fantastic. 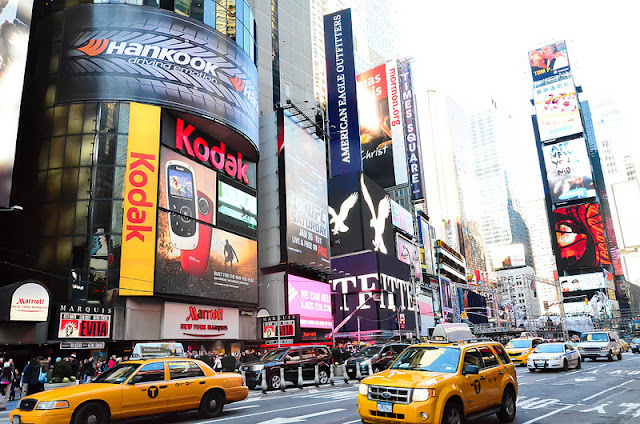 I think that if you go to New York, it's worth be seen! Regarding the weather in New York, it was freezing cold. Each day, besides my clothes I had thermal clothes and nevertheless I always was trembling with the cold, but all the magnificent discoveries warmed my heart:)! 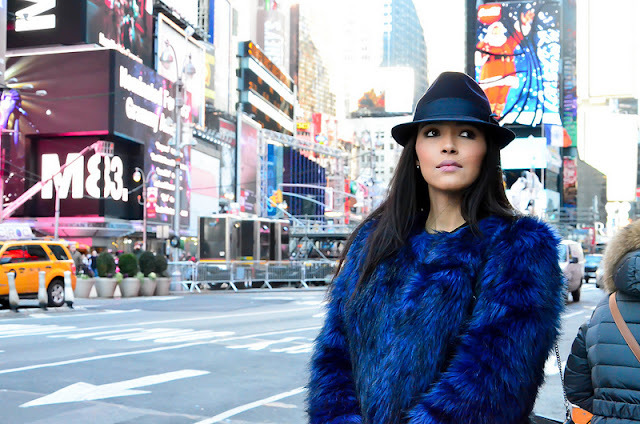 About the outfit, I decided to wear my faux fur vest I bought there with black leggings and a little blue hat. Hope you'll like the pictures and keep it smiling :) ! the fur jacket looks great! loving the color. 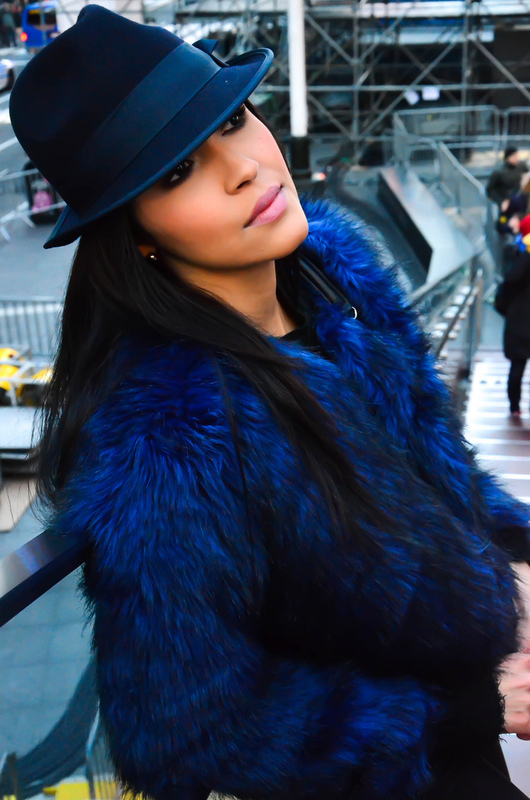 love your coat and the blue hat!!! You look amazing!! I went to NY For the past week! When were you there? You are the brigthest thing on times square!! Wow... you look so lovely, dear! Happy New Year sweety! Love this coat, beautiful electric blue! SOOOOOO in love with that blue coat. Happy new year!! OMG! you are forever looking amazingly beautiful.Happy New Year. Thank you for the comment on my blog and for following! I am following you too! Love Times Square! Was in New York a few weeks ago! That blue fur coats rocksssssss!!! Love ti so much babe!!! You are stunning like always! Paty,amei seu look as fotos ficaram lindissimas. Happy new year flor. you are amazing!!! so so beautiful!!! Amazing look! I love it, dear! wow..the pictures are amazing..and you are beautiful..
Great outfit! It's my dream to visit New York! Envy you so much!! nice pic <333 you look gorgeous. Amazing pictures and you are sooooo beautiful ! I've never been to NYC!!!!!! Dream trip for me! Amazing fur jacket. Perfect colour! oh my dear,you look absolutely gorgeous and so classy!Love your coat <3 stylish! Wow, this is absolutely fab!!! love your fur jacket! You have a great sense of style! I love your blog! Dear Patricia!, Happy New Year!.. I have been lost!, enjoying a lot Christmas Holidays with my familily and friends!. Love all of your looks!, and I'm very happy for you that you have enjoyed a lot your trip!.. New York is amazing!, a great city full of life!.. I'm looking forward more pictures in NY!.. This is cool, that blue fur coat it's beautiful! Fab photos and a very cool looK! Love that coat! You look awesome. Oh my !! Love the colors in this look! Cant believe the faux fur is from F21!!! New york is awesome right! !